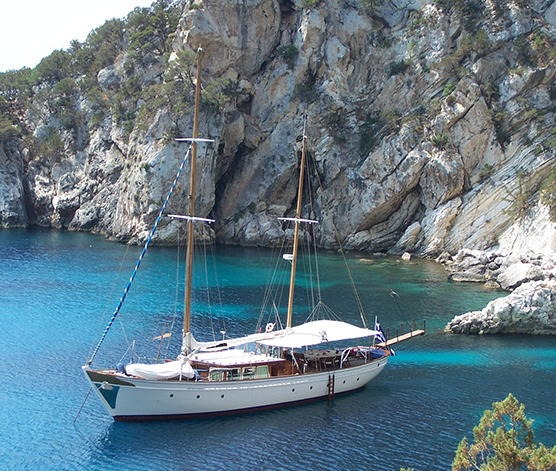 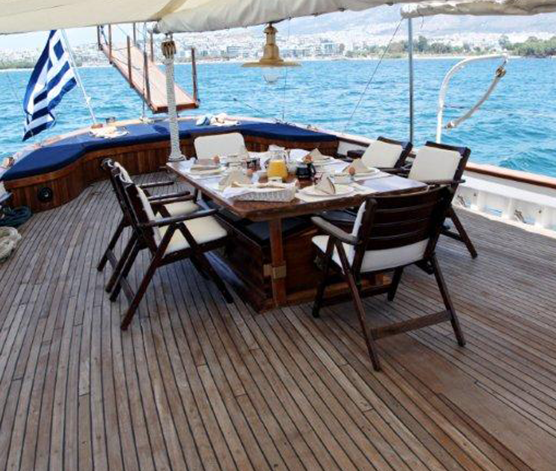 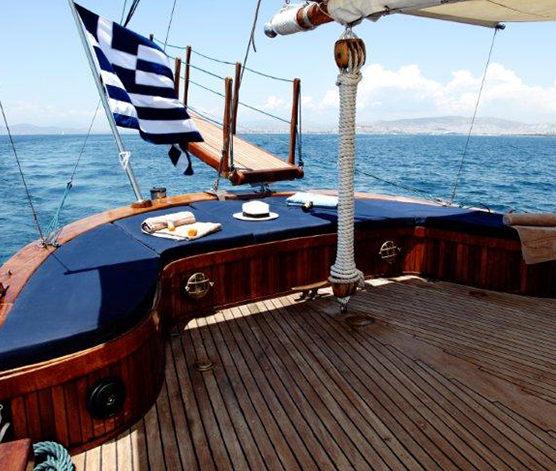 EFI is a traditionally built Greek motor sailer of 76 feet in length with a brightly decorated interior throughout. 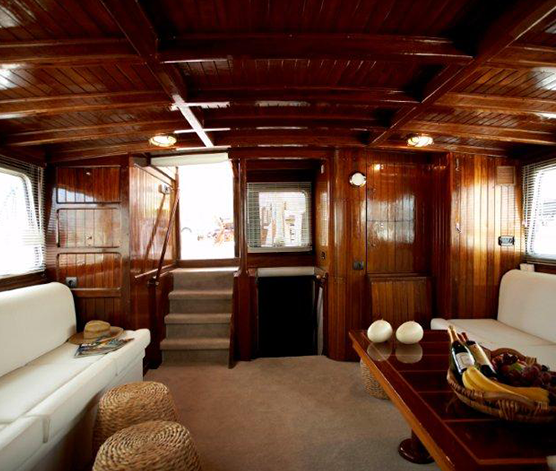 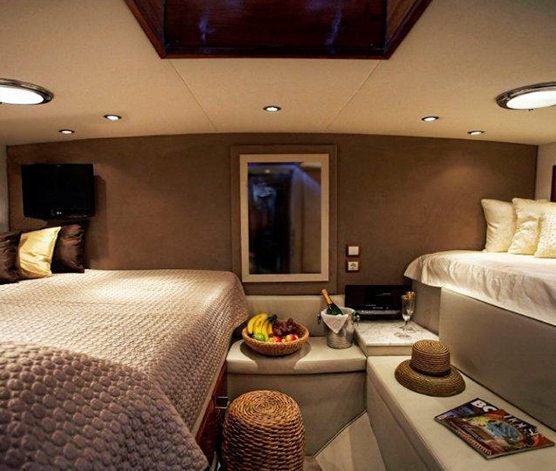 She accommodates eight to nine guests in 4 cabins, all with en site facilities as follows: one Owner’s cabin consisting of a double bed, sofa with a coffee table, desk, private bar, TV and DVD player; one VIP cabin consisting of a double bed, small sofa and coffee table, TV and DVD player; two guest cabins, one with a double bed and TV and one with a semi-double and single bed. 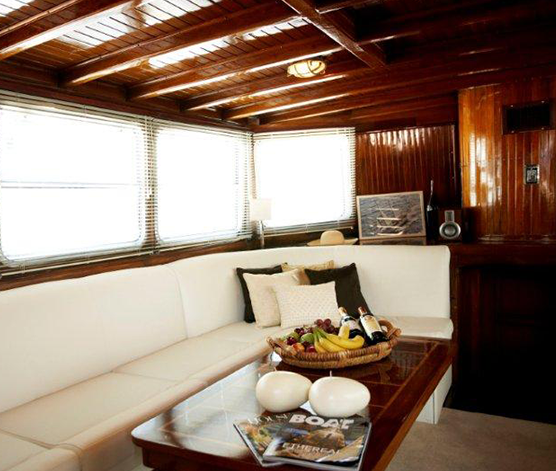 The lounge is airy and comfortable with two large corner type sofas, a coffee table as well as an entertainment center.